And ain't it the truth!! LMAO! Laughing. Too. Much. To. Type. I always knew there was a sense of humor underneath that brooding intensity. Jen: it was his sense of humour that attracted me to him in the first place... honest... and he needs one to be married to me. LMAO, Bobby!! Are you guys seriously going to appear on the show?? 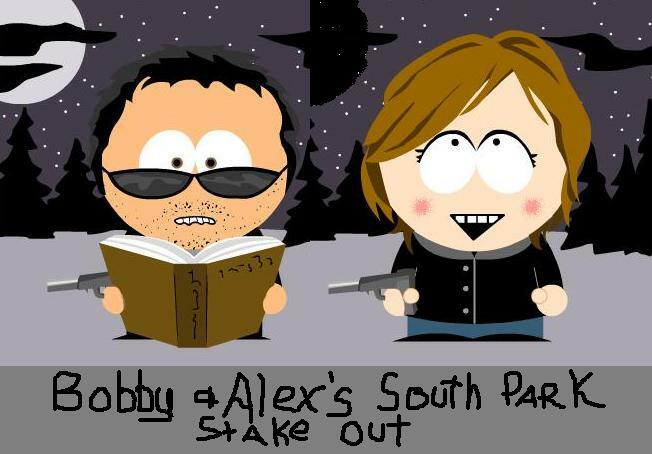 My husband and I were just imagining that scenario last night watching a "South Park" rerun! ROTFLMAO! too darn funny. Sorry I haven't been here in awhile. Oh no Bobby, I love South Park I watch it often. It is so irreverant, But that one of you and Alex is hysterical.